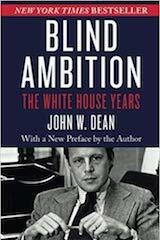 John Dean served as Counsel to the President of the United States from July 1970 to April 1973. 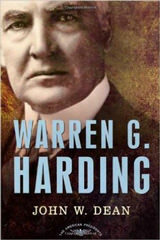 Before becoming White House counsel at age thirty-one, he was the chief minority counsel to the Judiciary Committee of the US House of Representatives, and an associate deputy attorney general at the US Department of Justice. 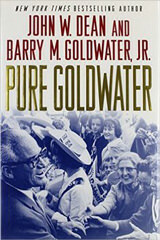 His undergraduate studies were at Colgate University and the College of Wooster, with majors in English Literature and Political Science; then a graduate fellowship at American University to study government and the presidency before entering Georgetown University Law Center, where he received his JD with honors in 1965. 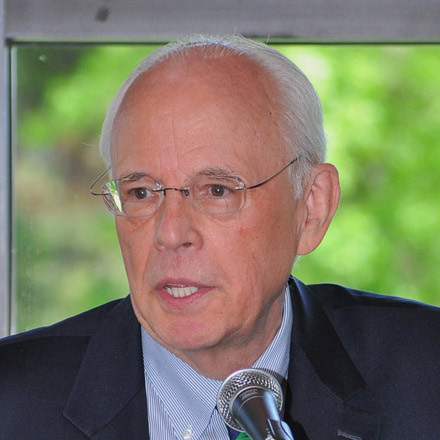 Former counsel to the president John W. Dean discusses the phenomenon of shaming, particularly public shaming, in the context of the Internet, and draws upon two books discussing that topic in very different ways. Former counsel to the president John W. Dean provides background details on the federal case against former CIA Director David H. Petraeus and explains why the final sentence might have been far harsher than he anticipates it ultimately being. Former counsel to the president John W. Dean recounts his personal experience with information anxiety/overload and explains why the medium by which he consumes information is important. Former counsel to the president John W. Dean describes the political science research finding (and reiterating) that negative political advertising does not work. Former counsel to the president John W. Dean argues that it is high time for a woman—and most likely Hillary Clinton, in particular—to become our country’s next transformational president. Former counsel to the president John W. Dean reflects on a visit he had with the late California Justice Mildred Lillie, who, due to gender discrimination, was denied appointment on the U.S. Supreme Court. Former counsel to the president John W. Dean discusses the recent report by the U.S. Senate Select Committee on Intelligence describing the CIA’s use of torture to interrogate suspected terrorists. Dean predicts that the report will not likely lead to any prosecutions or policy changes, but instead might only result in the more frequent torture of Americans captured around the world. Former counsel to the president John W. Dean critiques the GOP for using extortion tactics to get what they want politically. Dean argues that President Obama should openly and frequently denounce Republicans on their abuses of the confirmation process, or else see his presidency end with a whimper. Will a Woman Be Sent to the White House in 2016? Let’s Hope! Former counsel to the president John W. Dean considers the likelihood that a woman will be elected either as president or vice president in the coming election. Justia columnist and former counsel to the president John W. Dean comments on the present Ebola panic and politicians’ reactions to it. Dean critiques these reactions as not based on medical knowledge and instead serving only to deter people from assisting to contain the international epidemic. In light of the recent passing of Ben Bradlee, former counsel to the president John W. Dean recounts his last visit with Bradlee, who was a top editor at The Washington Post during the Nixon Administration and handled the Post’s coverage of the Pentagon Papers and Watergate. Former counsel to the president John Dean favorably reviews Erwin Chemerinsky’s new book The Case Against the U.S. Supreme Court. Dean praises Chemerinsky for expressing thoughtful and well-founded criticism in a way that few others have done. 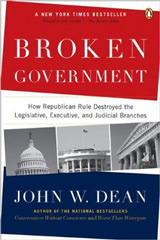 John Dean, former counsel to the president, comments on a recent case between two private parties in which the U.S. Attorney General intervened and sought dismissal, citing the “state-secrets privilege.” Dean explains the questionable history of this privilege and explains why blind adherence to it can be dangerous. John Dean, former counsel to the president, comments on a recent Newsweek story by David Cay Johnston highlighting the noted and untruthful biographer C. David Heymann. Dean explains how the dysfunctional body of First Amendment law has allowed Heymann to get away with publishing many lies and false information about a handful of public figures. Who Is Abusing Power: Rick Perry or Michael McCrum, His Special Prosecutor? 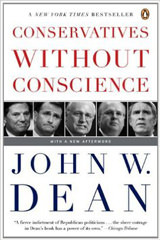 John Dean, former counsel to the president, comments on the recent indictment of Texas Governor Rick Perry. Dean cautions against falling for Perry’s and even some Democrats’ quick dismissal of the indictment as politically motivated and lacking sufficient basis. Dean argues that only Perry, not his special prosecutor, may have abused his power. 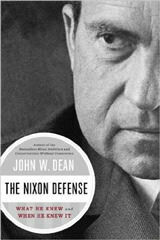 For the fortieth anniversary of former President Richard Nixon’s resignation, John Dean, a Justia columnist and former counsel to the president, offers some thoughts and a preview of his newly released book, The Nixon Defense: What He Knew and When He Knew It. 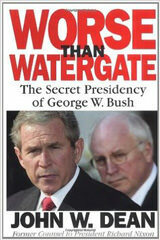 As Dean explains in this adapted preface to the book, the narrative is based on actual White House recordings of Watergate-related activities, which Dean himself listened to and transcribed. John Dean, former counsel to the president, describes former President Richard Nixon’s views of, and influence on, the U.S. Supreme Court. 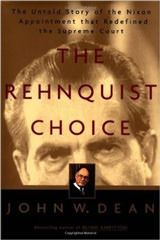 In the process, Dean reveals some tidbits of information about Nixon that he discusses in greater depth in his upcoming book, The Nixon Defense: What He Knew and When He Knew It. John W. Dean, former counsel to the president, continues his discussion of the U.S. government’s No-Fly List. In this second of a three-part series of columns, Dean focuses on the constitutional implications of the No-Fly List: deprivation, without due process, of one’s right to travel internationally and one’s reputation interest.